Almost 200,000 immigrants came to the United States from Norway between 1900 and 1910. 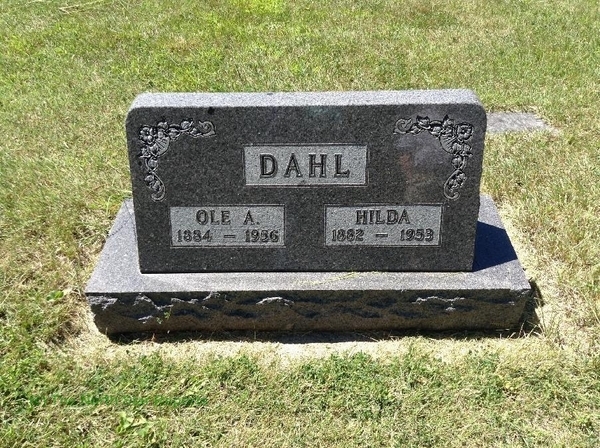 One of these 200,000 was my great-grandfather, Ole Dahl. He grew up and worked on a farm in Bodø, Norway, before coming to the United States in 1907 at the age of twenty-two. His plan was to get a job where he could make enough money to buy a boat and return to Norway as a fisherman. Little did he know, he would end up staying in Minnesota the rest of his life. His journey started by traveling to Liverpool, United Kingdom, to get on the steamboat Cedric, which was headed to Ellis Island. At the time, this steamboat was the largest ship in the world and provided relatively good accommodations compared to other ships. The trip lasted about a week and a half before he arrived in New York on May 14, 1907. From there, he went to Minnesota, where many other Norwegians had gone over the years due to the amount of farmland in the state. He somehow found his way to a large farm in Granite Falls. He would keep this farm in the family for generations, as it remains to this day. Despite the fact that Ole was enjoying his life in the U.S., his family back in Norway was still very important to him. He sent them money throughout rough economic times and decided to visit them in 1947. When he returned to Norway, his family was surprised by how much he loved life in the United States. He told them he couldn’t wait to return to “God’s Country.” He wanted his family members to return with him, but in the time that had passed the economy had improved and they didn’t need financial help anymore; they chose to stay in Norway. It was hard for Ole to leave without his family, but he now had a family back in Minnesota. In fact, he had a daughter and two sons who were starting to have children of their own and who would eventually take over the farm. Nevertheless, both the Norwegian and American sides of the family have remained in contact with one another to keep our history and culture alive. Fast forward to the present day. I visited the farm in late July 2013 for the 95th birthday of Ole’s son and my great-uncle, Harold. 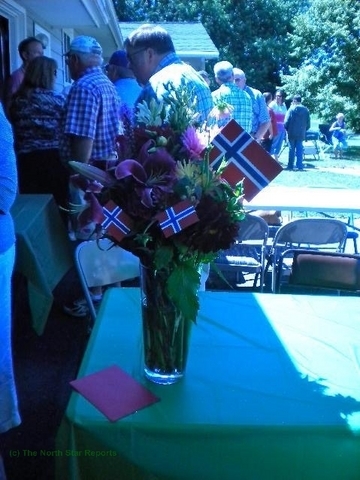 I went with my mother, father, and brother, and we brought a vase of flowers from our Norwegian relatives. With the flowers in hand, we went up to Harold, who was sitting on a John Deere stool in the garage surrounded by decorations of green and yellow tractors– further evidence of just how much farming and the family estate mean to him. When we greeted him he immediately asked about the flowers. We told him that they were from the relatives in Norway whom my brother and I would be visiting next week with our uncle. As we told Harold about the flowers and the trip we would be taking, several other friends and family members began to ask questions about the flowers and told us to say “hi” to the Norwegian relatives for them. Others would come up and tell my brother and me stories about when they went on their first trip to Norway, because everyone in our family had gone at least once. The story that stuck out the most was the one from my dad’s cousin, Cheryl, who told us about when she first arrived in Norway. When she stepped off the plane, she was greeted by Ellen, Åsmund, Arnie Berger, and Betzy (members of the oldest living generation of our relatives in Norway). Immediately Cheryl was whisked off to a town an hour away, brought to a small house in the country, and walked into a birthday party of a relative she had never met. Everyone talked to her as if they had known each other for years and were just catching up. When my uncle, brother, and I went to Norway the next week and met our relatives, including Ellen, Åsmund, Arnie Berger, and Betzy, we immediately hit it off. In fact, I could even see them taking us halfway across the country to attend the birthday party of someone we had never met, just like they had done with Cheryl! We learned just how much Harold’s farm means to them; they all knew Harold and our whole extended family, and talked very fondly of the times they spent both in Minnesota and in Norway. Spending two weeks in Norway was an eye-opening experience. Not only did I get the chance to travel to a different country and be immersed in a different culture, but I had the opportunity to meet members of my family I had never met before. Over the next two weeks, as we explored Oslo and other cities and met more and more family members, I suddenly realized why my family members return so often. Though our relatives in Norway are descendants of my great-great-grandparents, they treat us as if we’ve known each other our whole lives. I did not realize until Harold’s 95th birthday how much pride my family takes in their Norwegian heritage, and when I went to Norway, I finally understood why. It was not just that we came from a beautiful country, it was because of how hospitable and kind the people there are. I really love this story because of the depth you put into it. I really felt connected to your family in a sense and i think anybody who tells there family story wants people to do. I am unable to visit the land of my fore fathers but I know where that is and I wish to pass on that information to my children someday so my family story may never die. I’m glad you enjoyed your experience in the country your ancestors are from. I think it’s an amazing opportunity for people to be able to do that I would love to, at some point, visit where my ancestors are originally from as well. This was a great story to read! I love that you explained how hospitable your Norwegian family is. It’s truly amazing how people that you’ve never met can be so kind. 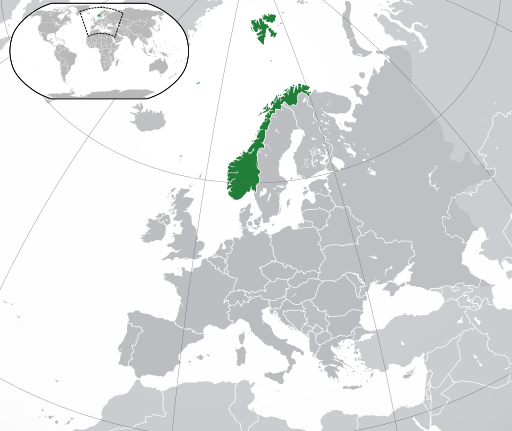 It’s amazing that you know exactly where your Norwegian relatives are. Very cool! Beautifully written! It is so inspiring to hear of the connects you have made with family members you do not see very often and who are from a whole other country. I hope some day I will be able to travel to the countries that my ancestors came from so I can connect to my heritage. That cheesy saying, “once a family, always a family,” really does seem to have some meaning behind it afterall. My older brother experienced the same type of welcome and openness when he met some “long lost” relatives during his travels to Germany. It’s so bizarre how something as simple as a common last name can create an idea of such closeness that may not have otherwise existed. I love reading your experience! is amazing how sometimes family ties can not be broken now matter how far away we are from each other. Also, I think you are very lucky to have the opportunity to go to another country and to immerse yourself in a new culture with people who are your family. I am glad you had such a good experience visiting a new country, new culture and also reuniting with your family members. Indeed, family is an important aspect of our lives and is truly a blessing!! Thanks for sharing. My relatives are also from Norway and I think it would be a great experience to travel there some day! I do not know if I have any close relatives still there but I think it would be eye-opening to visit the cities they grew up in. Very interesting article! How wonderful that you were able to visit your relatives in Norway and learn more about the Norwegian culture. Someday I hope to visit my family in Norway too! That is awesome of you to share his story!! I thought that was very cool that he went back to see his family. Do you think you will continue going back to see the Norwegian family? Wonderful post! I like the part about meeting new family members but talking as if they’ve always know each other and were just catching up. It’s interesting how generations of people carry the ghosts of their ancestors. When I visited family in Hawai’i that I’d never met, they all commented on how much I look like my dad. I then heard a lot of fun stories and made connections to my life today. I wonder what my family reunions will look like 100 years from now. Thanks for sharing! That was such an awesome story. I am glad that you shared that with us, my ancestry goes back to Norway as well so it was kind of cool picking out connections between my family’s story and your own. Awesome and thanks for sharing that. It’s always fascinating to hear stories about travel and migration. I find it very interesting how most immigrants, including myself, leave our countries in hopes of returning, but as time goes by those initial plans start changing. I also loved how you described your connection to your family’s heritage once you went to Norway! This is an awesome experience! It’s amazing how families can still stay so connected – even thousands of miles away. I think it’s incredibly impressive that your great-grandfather came to Minnesota alone and created the life he did. Do you have any plans on returning, perhaps when/if you have children of your own? I love the historical background followed up by your two week trip to Norway and meeting relatives you had never met before! This makes me want to plan a trip to Europe in the future, specifically Spain, as it would be really neat to meet family members that I have only heard about. What was so special about your story is that everyone treated you like family and not a stranger even though it was your first time meeting them. Everyone has a unique story to tell about their family. I think you put a lot of heart into your story, and that’s why it was so nice to read. Having a big family that can keep a life long bond is really cool. Thank you for sharing! It great to see that you keep in touch and got to visit your relatives out of the country. This made me think of my family and how our American families are very distant from our Laotian family. I do hope in the future I will be able to visit Laos and see my mother’s side of the family, since majority of them live in Laos. Thank you for sharing!! This is an opportunity of which I am highly jealous! I have no idea who my relatives are overseas but what a great chance to see a new culture while feeling the safety and welcome of family members. What a neat experience! Thank you for sharing your story! It was very cool that you got to visit your family in Norway and experience the culture there. I hope you are able to go back again and discover even more things. That sounds like a great experience to see where your ancestors are from. I really hope one day I can visit the land of my ancestors in Sweden. That is really great that you were able to connect with your family all the way in Norway. Not only being able to reconnect with family, but also learning more about your family history must have been an amazing experience. This quote in particular stood out to me, “Not only did I get the chance to travel to a different country and be immersed in a different culture, but I had the opportunity to meet members of my family I had never met before.” I hope you continue to post on this lifetime journey you now embark on. I’m interested in the topic of pilgrimage. There are certain locations throughout Minnesota, Iowa, and South Dakota (childhood homes, grave sites, and other important places) my family insists on stopping at. I’d love to travel to Europe to see my ancestral towns. This was a very cool article. I also have relatives from Norway. My great grandpa came in his 40’s and married late, so i never got the chance to meet him. Oddly enough, he never wanted to return to Norway, even when my grandparents said they would take him to see his family. Times definitely must have been tough for my great grandpa similar to yours at the time. This report makes me want to see and experience that hospitality! This story speaks to me that one should never forget their heritage, as it is a very important connection with many people globally! Great read and thanks for sharing! What a lovely connection between people and place. The place may be beautiful, but it is the people who really make a person want to go there and keep coming back to it. Keeping the reverence of one’s heritage alive is part of what makes America a diverse place. Most Americans are not only American but also Norwegian or Irish or Greek or the list goes on and on. Not only does this article make me want to go to Norway, but it also makes me feel as though I should make more of an effort to understand my own heritage and ancestry.